Born at Winnipeg in March 1915, the only son of John Draper Perrin and Ruth Taylor Litle, from 1928 to 1934 he was educated in Winnipeg public schools and at St. Andrew’s College in Aurora, Ontario. At St. Andrew’s, he participated in swimming, platform diving, cricket, golf, squash racquets, boxing, hockey and football. He played on First Hockey and was Cadet Commanding Officer in his graduating year. Summers were spent at his family’s camp at Lake of the Woods and working in the Rice Lake area east of Lake Winnipeg near the Manigotogan River where his father was developing the San Antonio Gold Mine and the Town of Bissett. After high school graduation, he studied mining engineering at the University of Manitoba and McGill University, where he was a member of Delta Kappa Epsilon fraternity. He earned university letters playing Varsity Hockey for the Bisons and the Redmen, respectively. He also played in Winnipeg with the CNR in the Big Four League and in Quebec with the Verdun Maple Leafs. He developed a reputation as a rushing (and goal-scoring) defenceman described in sports stories as “Mighty Perrin.” He also played junior football as a member of the Deer Lodge team when they won the western championship in 1936. While at McGill in early 1940, he interrupted his studies and hockey career to volunteer for wartime service in the Royal Navy. He shipped off to the UK and took his naval basic training as an Ordinary Seaman at the HMS Raleigh, which made him a “Canadian Raleighite” along with such others as future Ontario premier John P. Robarts. He saw action aboard the British destroyers HMS Valorous, HMS Holderness and HMS Termagant, in the North Atlantic, the North Sea and the Mediterranean from bases at Scappa Flow, Sheerness and Alexandria, Egypt. HMS Holderness was mentioned in dispatches and HMS Termagant took part in the invasion of Sicily, sinking a Nazi U-boat and crippling two German-manned Italian destroyers. During the invasion of Italy, his warship was torpedoed and sunk. A strong swimmer, he was able to reach the coast. Separated from his shipmates, he eventually found room on a military flight to Egypt and from there he was flown back to London in mid-winter, reporting to the Admiralty in his only clothing, his tropical white uniform with shorts. He was promoted up the ranks to Lieutenant. Returning to the Italian theatre near the end of the campaign, he was among a group of Allied officers granted the first Allied Forces audience with Pope Pius XII following the liberation of Rome. 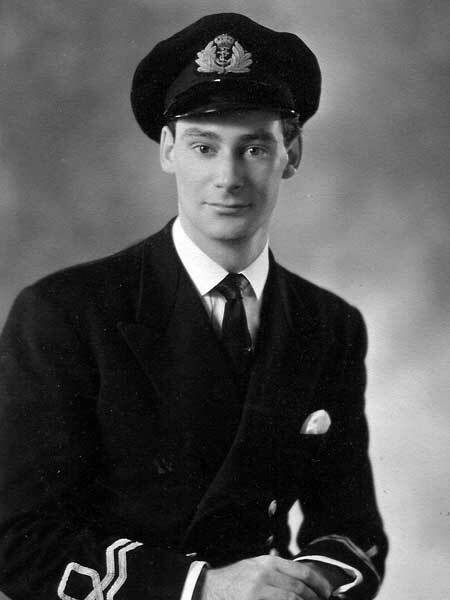 At the end of World War Two in 1945 he was discharged with the rank of Lieutenant (RCNVR). For his military service he was awarded the 1939-45 Star, the Atlantic Star, the Italy Star, the Defence Medal, the Canadian Volunteer Service Medal and Bar, and the War Medal 1939-1945. During his naval service, he had become friends with British actor Robert Newton, later famous in the TV role of pirate “Long John” Silver. Newton had suggested Perrin consider pursuing a show business career. 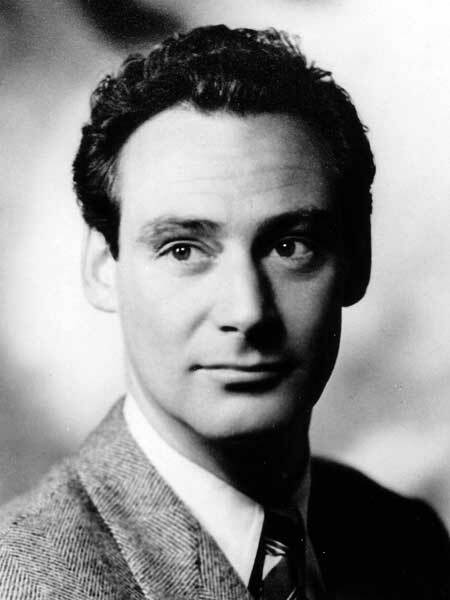 After the war, he followed this advice in London, England where he appeared in stage productions in the West End and in a couple of feature films, performed as a club singer with Sydney Lipton’s Grosvenor House Band, and hosted a late night BBC radio programme in which he played romantic music and read poetry. During this period, he suffered a ruptured appendix and, having lapsed into unconsciousness, was rescued by Lipton’s daughter Celia, whom he had been dating. He was hospitalized with peritonitis but recovered and recuperated on the French Riviera. In London he had lived in a flat where he socialized with neighbours Lawrence Olivier and Vivian Leigh (who were living together at the time). He also developed a lasting friendship with another Winnipegger, well-known BBC war correspondent, Stewart McPherson. Returning to Winnipeg in 1948, he was elected a Director of the San Antonio Gold Mines Limited and pursued various other business interests. Among these, with his father as partner, in 1957 he developed the first post-war office building constructed in Winnipeg. Named the New York Life Building for its lead tenant, the Winnipeg agency of New York Life, and located at 385 St. Mary Avenue, this two-storey structure was designed in the Miesian idiom by the Winnipeg firm of Waisman Ross. The building later housed the headquarters of Winnipeg’s 1967 Pan Am Games organization. Perrin was also involved in the community in roles such as fundraising for Winnipeg Children’s Hospital. In 1954, with the new Winnipeg Arena nearing completion, he was approached by W. Culver Riley, head of Winnipeg Enterprises, with the suggestion that Winnipeg needed a hockey team as anchor tenant in the new facility. As a former player and sports fan, and with the financial partnership of his father as President, he acquired a franchise in the minor professional Western Hockey League and took on the role of Vice-President and General Manager in establishing the Winnipeg Warriors Hockey Club. The Warriors would require a supply of players, so the junior Winnipeg Braves were established and the St. Boniface Canadiens acquired. The opening of the new Arena would mean the old Shea’s Amphitheatre would be demolished and junior hockey would require a smaller arena with artificial ice. He and his father purchased the Olympic Rink at Church Avenue and Charles Street in Winnipeg’s North End along with the artificial ice plant from the Amphitheatre, which was relocated to the Olympic. At the time, the Warriors represented the return of pro hockey to Winnipeg after an absence of 27 years. He was widely credited with contributing to a hockey renaissance among young people both in Winnipeg and across the province and he was a founding Director of the Greater Winnipeg Minor Hockey Association. Coached by Alf Pike and led by Bill Mosienko, the Winnipeg Warriors won the Edinburgh Trophy as World’s Minor-professional Champions in 1955-1956, and the 1958-1959 Winnipeg Braves, managed by Bill Addison, remain to this day the last Manitoba-based junior club to have won the Memorial Cup. In 1956, J. D. Perrin Sr. offered to purchase the assets of Winnipeg Enterprises including Winnipeg Stadium, the Goldeyes baseball stadium, and Winnipeg Arena. The city declined the offer, preferring to maintain public ownership of the facilities. Over the next few years, as the new medium of television took hold, and Hockey Night in Canada held sway on Saturday evenings, provincial law preventing paid admission on Sundays became a serious impediment. At times a controversial figure, Perrin travelled around Manitoba unsuccessfully debating with Anglican cleric Edward Scott the propriety of allowing paid admission on Sundays. In the meantime, continued public ownership of the arena led to escalating rent until the Warriors were faced with the highest costs in the league. 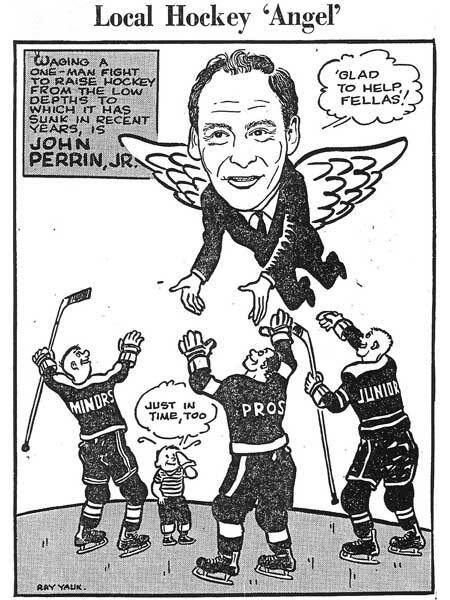 As these and other factors undermined the viability of the Western Hockey League in Winnipeg, in 1961 after just six seasons Perrin reluctantly sold the franchise to a group in Seattle. The junior teams, Winnipeg Braves and St. Boniface Canadiens (renamed Winnipeg Warriors after the pro Warriors were sold to Seattle), were sold to a group headed by Ben Hatskin in 1967, forming the foundation of the hockey organization that later became the Winnipeg Jets of the World Hockey Association. Upon the death of his father in 1967, Perrin inherited Beaudry Farm, which he had been in the process of purchasing over a number of years. A working farm of 2,000 acres, Beaudry featured five miles of Assiniboine River frontage and extensive natural river bottom forest, just west of Headingley. Over the years, the farm had been the site of much family activity, including horseback riding, snowmobiling, and entertaining. In 1975, Beaudry was expropriated by the Province of Manitoba and is now known as Beaudry Provincial Park. 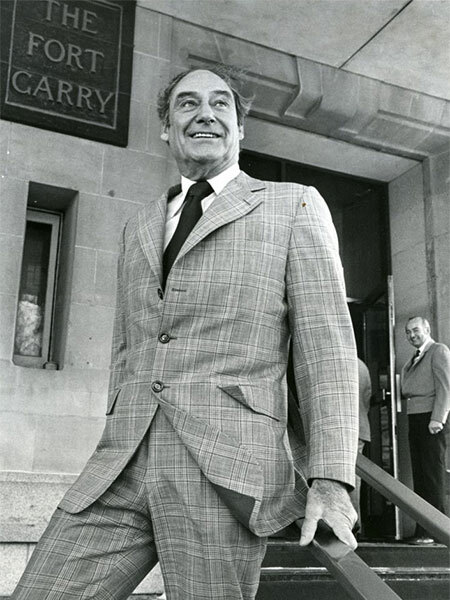 In 1979 Jack Perrin purchased the Fort Garry Hotel from Canadian National Railways, running it until 1987. His family had entertained regularly at the hotel, he had been a good friend of the son of one of the hotel’s long-time managers, and he and his wife Nancy had hosted their wedding reception there. In addition, his grandfather, William Perrin, had been a British regular in the Wolseley Expedition, marching into Upper Fort Garry, right across Fort Street, in August 1870. Among many other improvements to the hotel operation, he installed the front entrance driveway facing Broadway, and in 1982, he unveiled the Historic Sites and Monuments Board of Canada plaque designating the hotel as a building of national architectural significance. In addition to the many weddings, graduations, social events, meetings and conferences, facilities such as The Factor’s Table dining room, The Oval Room lounge and Broadway’s Cabaret were popular destinations for Winnipeggers. In August 1980, he hosted the national Premier’s Conference chaired by Manitoba Premier Sterling Lyon. An especially memorable visitor was Sir William Stephenson, the former Winnipegger and Spymaster code-named Intrepid, of Second World War fame, who presented Perrin with a personally autographed copy of the biography A Man Called Intrepid. Other prominent guests included Pierre Elliott Trudeau, musician Sting with his band The Police, and comedian Rodney Dangerfield. The quartet The Nylons appeared several times and Burton Cummings performed a solo supper club format act for two weeks accompanied only by his grand piano. Peter Jordan’s original Rocki Roletti Rock n Roll Band were regular performers. Broadway’s was granted the first stand-up bar in Winnipeg and pioneered music videos in the Winnipeg Cabaret scene. During this period Perrin was a member of the Visitors and Convention Bureau of Winnipeg and of the Manitoba Hotel Association. He then entered, by what later was determined by the Manitoba courts to have been an excessive property tax bill, into a lengthy public battle with the City of Winnipeg over property tax assessment methodology. Although his efforts to appeal were ultimately frustrated, and the assessment proved financially disastrous for Perrin’s company, the conflict vindicated his position and improved property assessments for other property owners. 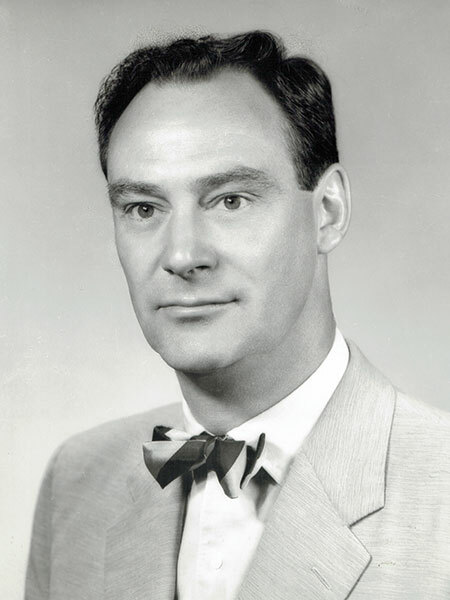 He was honoured with selection as an individual to the Manitoba Hockey Hall of Fame in the Builder category and with teams to the Manitoba Hockey Hall of Fame and Manitoba Sports Hall of Fame as General Manager of the 1955-1956 Edinburgh Trophy Champion Winnipeg Warriors and as President of the 1958-1959 Memorial Cup Champion Winnipeg Braves. He was a Life Member of the Winnipeg Squash Racquet Club where he had played a strong game, often with brother-in-law and best friend W. J. “Jack” Hopwood. He had been a member of the Carleton Club, and as a golfer had rated a nine handicap at St. Charles Country Club. In 1949, he married Nancy Suzanne McKay (1925-2013) of Winnipeg and they had three children, John Draper Perrin III, Suzanne Ruth Perrin, and Marshall McKay Perrin. In 1988, he married Marjorie Joan Irving (c1926-2005) of Winnipeg. He died at Winnipeg on 19 November 1992 and was buried in the St. John’s Cathedral Cemetery. Press clippings archive, Winnipeg Warriors Hockey Club. Company records, San Antonio Gold Mines Limited. Cover story, Star Weekly Magazine, 28 January 1961. “Hockey pioneer dies,” Winnipeg Free Press, 20 November 1992, page C4. “Old guard recalls Perrin as class act” by Hal Sigurdson, Winnipeg Free Press, 21 November 1992, page D3. Obituary [Marjorie Joan Perrin], Winnipeg Free Press, 11 June 2005. Obituary [Nancy Suzanne Perrin], Winnipeg Free Press, 14 December 2013. Miscellaneous sources including Winnipeg Free Press, Winnipeg Tribune and Winnipeg Sun (1930-2004), The Hockey News, The Northern Miner, The Manitoban, Manitoba Sports Hall of Fame, Manitoba Hockey Hall of Fame, St. Andrew’s College, Historic Sites and Monuments Board of Canada, the Manitoba Municipal Board, and the Manitoba Court of Appeal. This page was prepared by John Perrin and Gordon Goldsborough.